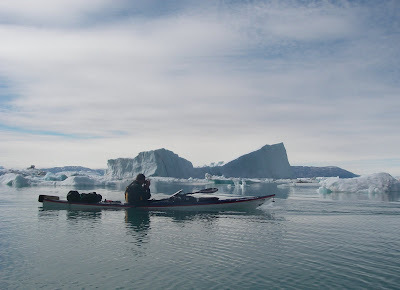 I was very interested to read in this months issue of Ocean Paddler (19) a small article advertising a new Greenland kayak Guide Blog site. There are 4 places left on my last trip this summer - departs Iceland 4th August. Bookings for 2011 are coming in, so if interested in a trip next summer contact me now.